The Supra model returns after a 17yearsto take aim at the Porsche 718 Cayman. The 5thgeneration Supra remainsfront-engined, rear-wheel-drive, and a two-seat layout that oftheprevious versions. The Cayman rival has been preparedby Toyota’s Gazoo Racing performance division and was developed alongside BMW’s Z4, it shares the same3.0-litre straight-six turbocharged engineas the BMW, producing 335bhp and 362lb ft, withan eight-speed automatic gearbox. Thesports car “in the purest form”, according to the Japanese manufacturer, aims for a singular focus on driver pleasure. The Prices for the new GR Supra have also been confirmed, the 'base' model will start from £52,695, growing to £56,945 for the fully-loaded and limited-run A90 edition with Deliveries to begin in the summer. The inline six-cylinder engine developed by BMW which is planted in the GR Supra features a twin-scroll turbocharger, with direct fuel injection and variable valve control. It has been tweaked to offer ‘segment-leading’ torque performance from very low revs. 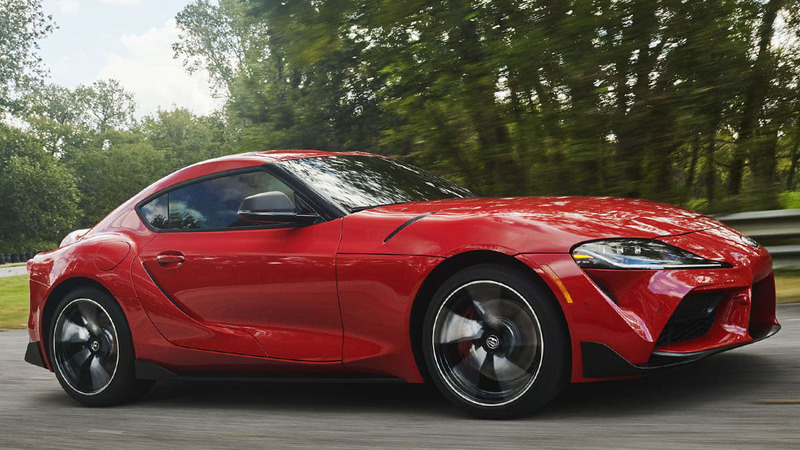 The maximum 362lb ft of torque is available between 1600-4500rpm, this gives the GR Supra 52lb ft more torque than the Porsche 718 Cayman S, and at a claimed 4.3sec, the Toyota is 0.3sec quicker from 0-62mph. Although the 335bhp developed by the GR Supra’s engine is 10bhp down on the 718 Cayman S.
The Supra offers Normal and Sport drive modes, launch control and a special ‘track’ setting that reduces the influence of the Vehicle Stability Control system. In Europe, it will be sold exclusively with an active differential. The long bonnet and bubble roof reflecting the famed Toyota 2000GT of the 1960s and front and rear styling that nods to the fourth-generation Supra. It also features prominent curved rear wings, which Toyota claims approach the limits of what can be manufactured at high volume. Toyota says the dimensions were set around achieving a “golden ratio” between the wheelbase length and the tread width of 1.55. 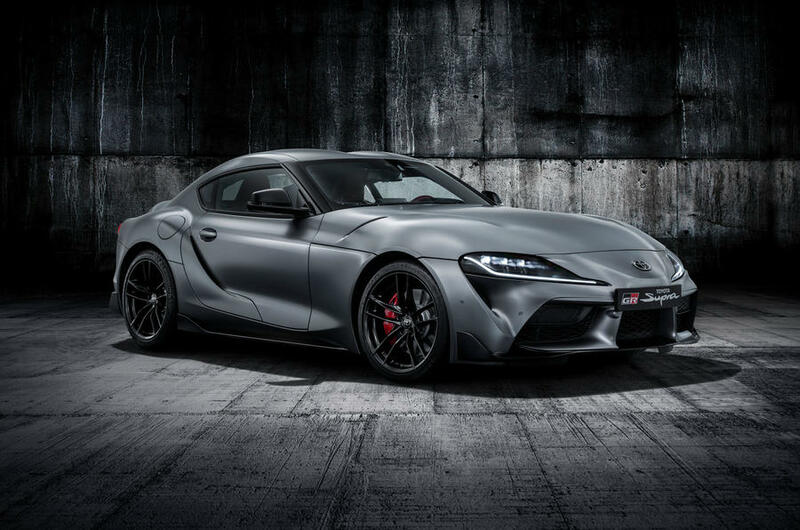 The new Supra has a wheelbase of 2470mm – compared with 2570mm for the GT86 – with a tread width of 1594mm at the front and 1589mm at the rear. Overall width is 1854mm. The Supra sits on double-joint MacPherson struts at the front and a five-link system at the rear. It has 19in alloy wheels with Michelin Pilot Super Sport tyres – slightly wider at the rear than the front – and four-pot Brembo brake callipers. Toyota Gazoo Racing’s development team was key to refining the car’s handling, which was honed both on public roads and race tracks including the Nürburgring. 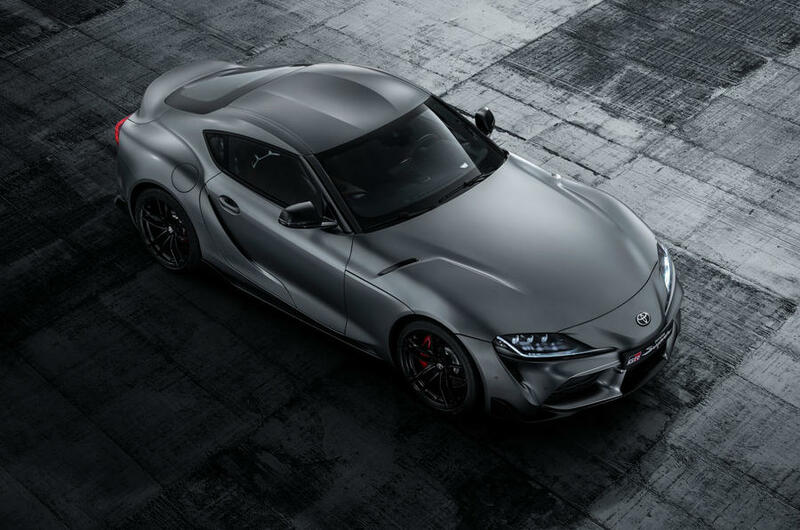 Toyota says the Supra has higher structural integrity than the Lexus LFA supercar, a lower centre of gravity than the cheaper GT86 made by Toyota and 50:50 front/rear weight distribution. Achieving the latter involved pushing the engine as far back as possible beneath the bonnet. The car’s styling features a large central grille with air intakes and six-lens LED headlights, which lead into the long, low bonnet that, along with the double-bubble roof, has been designed to minimise drag. 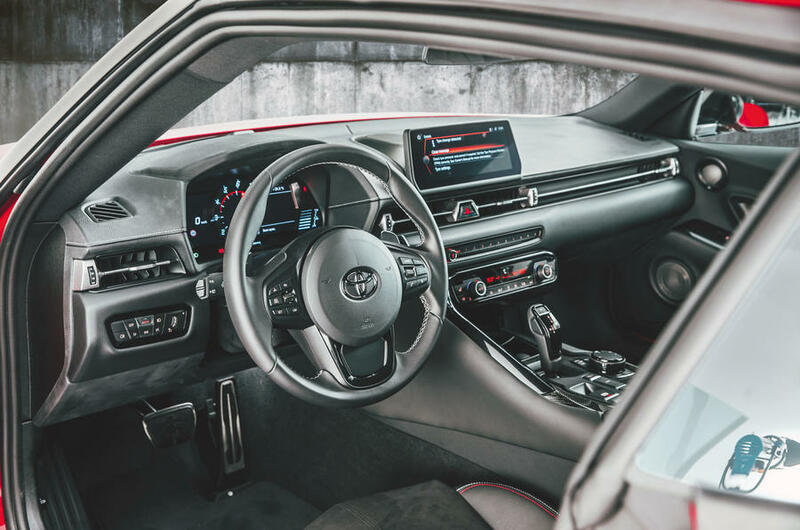 Inside, There is a three-spoke leather-covered steering wheel, racing-influenced Alcantara-covered seats and an 8.8in digital driver instrument display, along with an 8.8in central multimedia display that can be operated via touchscreen or a rotary controller. The boot measures 290 litres, compared with 281 litres for the Z4. 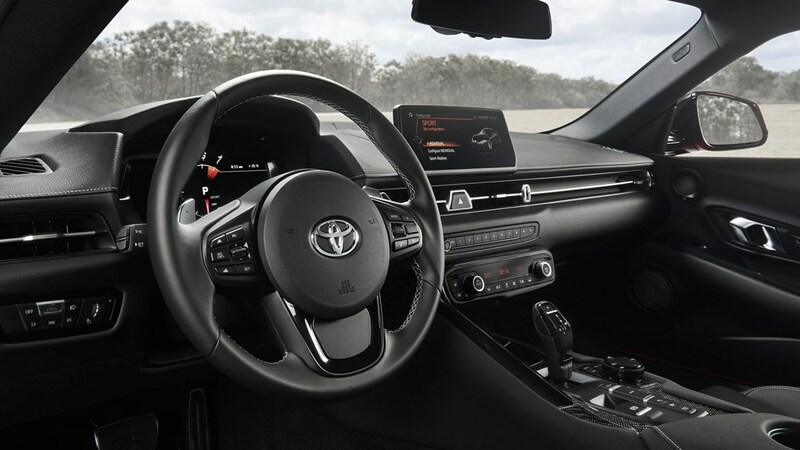 Toyota says the Supra cockpit has been inspired by single-seater racing cars, with a low dashboard to maximise forward views and the main controls tightly grouped together. Reflecting its development alongside the Z4, the interior of the Supra makes extensive use of BMW switchgear. There is a three-spoke leather-covered steering wheel, racing-influenced Alcantara-covered seats and an 8.8in digital driver instrument display, along with an 8.8in central multimedia display that can be operated via touchscreen or a rotary controller. The boot measures 290 litres, compared with 281 litres for the Z4. The GR Supra will launch with two trim levels, called Active and Premium. Higher-spec Premium models gain black leather upholstery, a 12-speaker JBL sound system, a head-up display and a wireless smartphone charger. 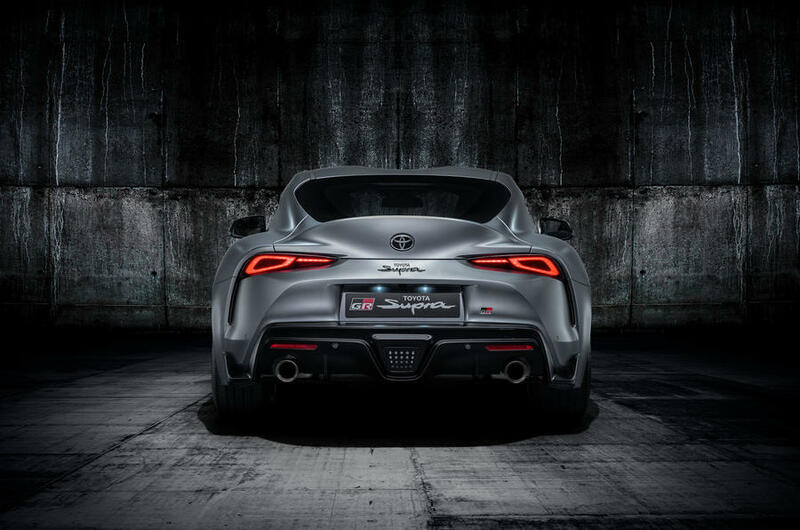 Built alongside the Z4 in Graz, Austria, first deliveries of the GR Supra are due by late summer, with a limit of 900 cars in Europe in the first year. The first 90 European customers who pre-order will be offered a limited A90 Edition – reflecting the chassis code seen on the development car – that will come with a Storm Grey matt paint finish, black alloy wheels and a rear leather interior.